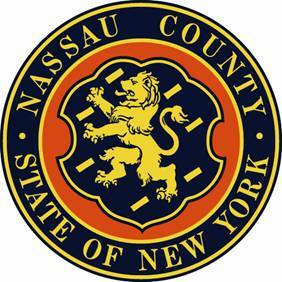 I would like to update you on the current status of Nassau County’s finances. I am proud to tell you that Moody’s recently upheld the county’s A1 bond rating and that the county ended the 2010 fiscal year with a $17.2 million surplus. Despite inheriting a $134 million deficit from the previous administration, the new County Executive and Legislative Majority made the tough decisions necessary to cut spending, slash waste, and change the way Nassau does business. This hard work turned Nassau’s inherited deficit into a surplus. And, we will do it again. Despite mandated increases in labor, pension and healthcare costs, the 2011 budget is balanced, and we are committed to once again managing the budget efficiently and effectively. Through smart governing and spending cuts – not taxing and spending – we shall once again steward a balanced budget with no tax increases. Nassau is number one in many ways, but being named the number one highest taxed county in the nation is not a moniker we enjoy – nor want to keep. Since January 2010, County Executive Ed Mangano and my fellow Majority Legislators have actually put more money back in taxpayers’ pockets by eliminating the 2.5% Home Energy tax, which would be soaring to staggering heights with today’s oil prices. We also eliminated the previous administration’s planned four-year 16.5% property tax hike, a $26 million Cigarette Tax and a $12 million Fast Food Tax. Through the implementation of the Residential Tax Grievance Negotiation & Settlement program, we have saved $28 million by settling tax grievances with residents before a tax refund is due. This is just one component in the plan to fix the broken property tax assessment system which incurs up to $150 million in debt to Nassau County each year. Increasing taxes is not the right way to run a county. Instead, it’s our proper fiscal management which is turning Nassau’s finances around. We will continue to implement change, cut wasteful spending, reduce the size of government and reform the tax assessment system to restore Nassau’s fiscal health without increasing taxes. I will continue to update you on all important fiscal matters. As always, if you have any comments, questions or concerns regarding any county matter, please call or email me.